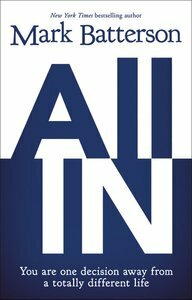 About "All in: You Are One Decision Away From a Totally Different Life"
Mark Batterson is the New York Times bestselling author of The Circle Maker, The Grave Robber, A Trip around the Sun, and If. He is the lead pastor of National Community Church, one church with eight campuses in Washington, DC. Mark has a doctor of ministry degree from Regent University and lives on Capitol Hill with his wife, Lora, and their three children. Customer Reviews For "All in: You Are One Decision Away From a Totally Different Life"